These are just some of the projects that are set to transform the educational and community landscape in the next couple of months. Universities are continuing to spend heavily in campus design and development in a bid to sharpen their competitive edge in attracting students, teaching staff and research funding. 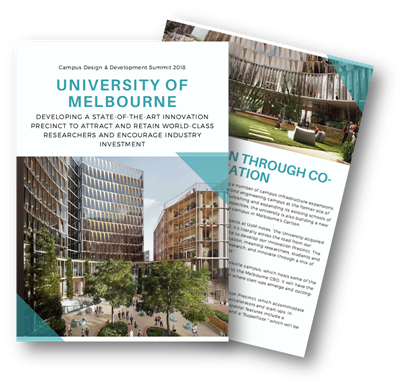 The 4th Annual Campus Development Conference 2017 returns with a brand new agenda that will highlight both greenfield and brownfield projects that are redefining the modern campus. The program will highlight campus master plan and project delivery aimed at attracting students, providing a high quality education and driving research funding. Whether you are embarking on series of new builds or looking to maximise existing space in a tighter budgetary environment, this program has the solutions to the challenges you will face. I hope to meet you in Sydney this October.